I have to be honest, the thoughts of wellness at work haven’t always been at the forefront of my mind. I actually remember being a young teacher who took tremendous pride in arriving at work so early that I needed to disarm the alarm and leaving only when the night caretakers were finishing their duties. I remember looking back at it and thinking of this work ethic as (a) a necessity (b) an acceptable level of dedication (c) a badge of honour. I suppose in some respects, I was right on both fronts. I needed to work the long hours to hone my craft and be best prepared for my students and I am certain my colleagues and principals took note of my endless burning of the midnight oils. However, as ‘right’ as I was, I had obviously overlooked a concerning blindspot, emotional wellness. Things started to change for me when I stepped into a school leadership role. All of a sudden, I was faced with difficult professional conversations on topics revolving around ‘workload,’ ‘stress’ and ‘work-life balance.’ It was in these early moments of leading that I started to realize that the ‘cost of caring’ in education often leaves the professionals on the front line depleted. Years have passed since I started thinking about my own work and the early leadership interactions I had had with my colleagues. Over this time, I believe I’ve learned a few things about myself and about the idea of wellness in education. The learnings on wellness, I believe, can be simply summed up in three words: Awareness, Agency and Connection. The first step in addressing the chronic unwellness of myself and of many others in our profession is first understanding ourselves. Looking back, it is easy to see where this understanding was absent when I thought it was a necessity to work 16 hours a day and how teachers may see the workload of a teacher to be unachievable. I have found that through personal growth and learning to be the key in this area. Reading books and articles on topics such as positive psychology, emotional quotient and interpersonal coaching have helped me gain perspective and insights. It is not to say that the cerebral approach is the right and only path. I believe that everybody can find their own way to understanding themselves in a pursuit of emotional awareness. It is my observation that until we have a good grasp on our own emotional wellbeing, we may not even know what to ask for. A misunderstanding of one’s self may manifest in a feeling of ‘acceptable level of dedication’ or workplace stress. However, once we do know where we are, it becomes much easier to know what we can and should ask for. A deep understanding of what we can ask for and having the opportunity and belief that we can ask for assistance is at the core of agency. In the spirit of awareness, it is important to recognize that teaching comes with many gravity problems (report cards, parent teacher interviews, lesson planning and marking), however with the assistance of others there are countless efficiencies and synergies that allow us to find the time and space to attend to our own needs as well as the needs of our community. The strength and courage to ask for and accept help is a critical step in overcoming our individual and organizational wellness dilemmas. In my mind, the final tenant in emotional wellness at school is connection. I have often thought about my ‘badge of honour’ that came with working to exhaustion or to the rallying call of ‘work life balance’ and reflect that these misconceptions often arise from a lack of connection. When I say connection, I mean the obvious ‘connection to others’ but I am also alluding to ‘connection to the profession.’ Obviously, one aspect of workplace wellness is being connected, in a meaningful way, to each other, your students, the parents and the school leadership. Personal relationships are essential to a sense of meaning and wellbeing. The other aspect of connection which I think is essential is ‘connection to the profession.’ In saying this, I reject some of the binary thinking of ‘work-life balance’ as it seems like an either/or proposition, essentially either you work less or your life is out of balance. If we shift our mindset to a more holistic conception of ‘work-life harmony’ we can start to better appreciate the ebbs and flows of our work and home life in an attempt to reconcile the positive and negative stress that is inevitable in all domains of our life. By no stretch do I believe my personal, professional or leadership journey towards emotional wellbeing is complete. I believe, with my whole being, that the journey is a daily and interconnected practice. Each and every day I need to take personal time to meditate, to rest, to reflect and to fill my personal wellness cup. Furthermore, I need to spend time connecting with those whom I share my life with and work with, to truly empathize with their needs and, perhaps to bring some greater understanding and learning to their journey. I don’t know, but if you are anything like me, this past week has been one of reflection and reminiscence. The week was bookended by news of loss in our community and by a night of wonderful celebration at the ‘Rundle Has Talent’ event at the elementary school. In this month’s Head’s Up, I thought it may be appropriate to keep my updates to a simple narrative reflection. I hope some of the words resonate with you and your Rundle Experience. Looking back a couple of years ago, I have a vivid memory of a conversation with a trusted friend who came in to assist our community during a time of loss. I have to admit, I have come back to this memory so many times this week and I am sure there are many in our community experiencing this deep sense of loss and the impact of ‘the cost of caring.’ Today, as much as it did years ago, this statement sticks with me and reminds me that in sadness and celebration, the ‘cost of caring’ is a risk I’m willing to take on. First, let me share my meditation on the paradox of ‘Rundle small.’ One of the amazing characteristics about Rundle is the feeling of being small. From our classes that are smaller than 15 students to the small schools to the opportunities to be involved that come with small co-curricular offerings; everything about Rundle exudes the ethos of smallness. That being said, the feeling of ‘Rundle small’ is a true paradox. Rundle College Society is among the biggest private schools in Canada in many respects including school achievement, physical footprint, student population, and staff size. If you think of it, there are nearly 1100 students, which means, if you count staff, faculty, students, alumni, parents, siblings, etc. - our community is well beyond a population of 5000 people. This number, when put in the context of my home province, Saskatchewan, would be big enough to be considered one of the province’s top 15 sized cities. The true magic of ‘Rundle small’ is that we are close enough to all 5000 people in our community that we live a huge shared experience. With this breadth of impact, we can count on sharing the full extent of the human experience with each and every season. The second thought is around the term ‘connected.’ I really love the notion of the in-person connection we can have as a result of our culture of caring and smallness. In a world that is consumed with digital connection, which is proving to be related to isolation and a host of emotional challenges, it is nice to know that we are in a community where we can genuinely be together during easy and hard times. Although it may be easier to be a digital arm’s length away, I encourage our community to continue to embrace the human side of connection. Rundle will always be a place where kindness counts, where we believe in best intentions and where we can come together to create a community that supports each other. The highlights of our days often come in those handshakes, hugs, hallway conversations, and handwritten notes. To close this ‘Head’s Up,’ let me thank you for your support, for sharing in the cost of caring and for being a part of our small and connected community. If you are looking for a little levity, give a listen and hear how my conversation with 4 students from Rundle Primary went! It is hard to believe that we are at the midway point of the school year! This year we have seen extraordinary acts that exemplify our values: “Together: Be Kind, Be Curious, Be Well.” In particular, I would like to thank our collective community for the support they have provided to those in need over the holiday season. In this month’s ‘Head’s Up’ I thought I might take an opportunity to look back and forward through some inspiring themes that have shone through in conversations we have had with our alumni over the past couple weeks. I. 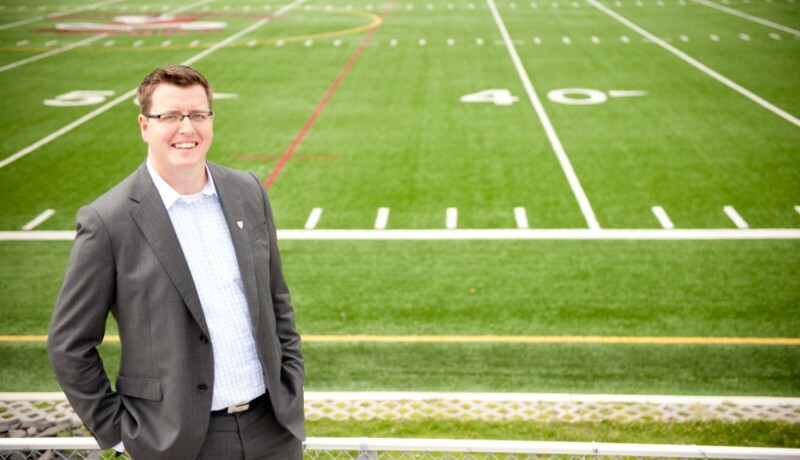 The Narrative - Part IV - "What I Learned at Rundle: Conversations with Alumni"
Over the course of the last month, I have joined several other Rundle leaders in the opportunity to connect with our alumni in a variety of events and places. Since the middle of December, we have hosted a homecoming event here in Calgary, travelled to the University of British Columbia, spoke to alumni at the University of Calgary and had an alumni dinner in Kelowna at the University of British Columbia - Okanagan. The alumni stories and connections have been universally inspiring and heartwarming. If it were possible to take these moments and distill them into three Rundle truths, here’s what I believe they would be. Truth #1: ‘Together’ is not just a value at Rundle; it is a way of life. Have you ever had a friend that you have not seen for a decade, and then you sit down with them and it feels like you have only spent days apart? I have witnessed this phenomenon take place countless times as our alumni come together. It is almost as though there is an invisible bond between alumni that allow them to start right where they left off… even if they left off many years ago. This has been the experience between alumni at each of the events we have hosted. This immediate and deep kinship is demonstrated through quick conversation, laughs and shared experiences. What is probably even more remarkable is that this instance does not just happen between classmates, it takes place across graduation years and friendship groups. We see the alumni network coming together to share experiences from their time at Rundle, share life successes and challenges, and share professional network opportunities. Truth #2: Our alumni’s grades… are the least impressive thing about them. One of the most fascinating things about chatting with our alumni is their response to the question, “What are you up to these days?” Now, it would be easy for them to respond with “I practice law,” or “I am in my 3rd year of engineering,” or “I am currently performing in …,” but rarely is this the case. More often than not, the conversation about what they are up to gravitates to one of a couple topics: their family or giving back to our community. It is wonderful to hear that as our graduates move from our hallways into the real world, they take with them the elements of character that Rundle aspires to expose them to. Our alumni are giving back to their communities through service and knowledge sharing. In particular, I would like to thank our alumni for giving back to the many programs at Rundle that rely on their support. Without these acts of kindness, we would not be able to offer the multiple opportunities we do! Truth #3: Teachers are the heart of Rundle. Thank you to our wonderful network of 1000+ alumni who continue to show us what it means to be ‘successful’ in our world. This accomplished group reminds us that by continuing to come together we are able to celebrate the finest thing in life - connection. For those parents and students who are not yet a part of our alumni network, I can hardly wait to share this experience with you as you graduate from our program and go on to make a positive impact on our world. We are excited to offer another season of summer camps in 2019! Ms. Adolphe and the c.Lab/Jr. Cobras team will be opening registration for their SPORT & STEAM camps in early February. Watch your email for the complete camp schedule including an early registration discount. It will be wonderful to see our students engaged in activities that stimulate their mind and exercise their bodies! Thank you to all parents who have already completed the reregistration process. If you have yet to let us know your intentions for the 2019-2020 school year, please do so prior to February 1st by following this link. 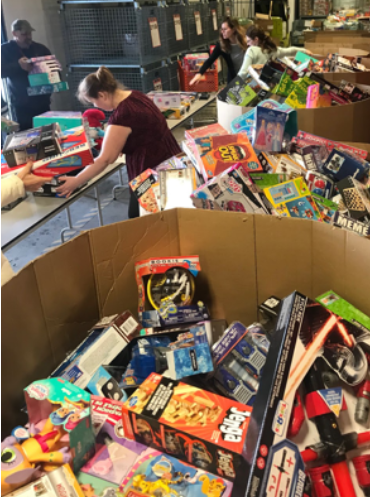 Prior to the Christmas break, Ms. Corbett and some students from Rundle’s Conklin School signed up to volunteer for Toy Mountain at Salvation Army. When they arrived to organize the gifts for families in need, they were turned away, as the Salvation Army had run out of gifts and were not going to be able to meet all the requests they had received. What happened next is nothing short of amazing; in fact, it is a little bit of a Christmas miracle. Ms. Corbett wrote a short email to the families of the kids who were going to volunteer and told them she was having to cancel the experience. 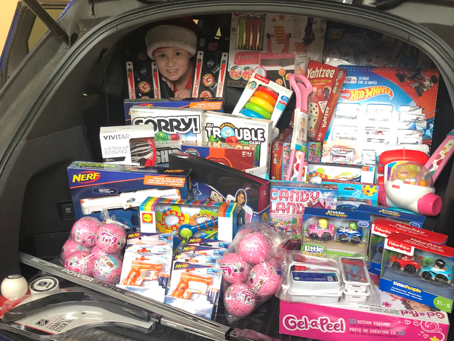 From there, Rundle’s families and students stepped up and quietly demonstrated what it means to ‘Be kinder than necessary.” From here, I’ll let the pictures do the talking and simply say thank you to everybody in our community who made Christmas magical for so many in need in our city. If your home is anything like mine, the Santa-themed books are out, the songs on the speaker are beginning to sound a lot like Christmas, the decorations are starting to emerge and we are well into our planning for the upcoming winter festivities. As we enter a season of celebration, I’d like to wish our entire community many days filled with warmth, family, friendship, and love. I look forward to seeing many of our community at the events that are coming up this December. In this chapter of ‘The Narrative,’ we will be exploring the value of kindness and a few of the wonderful stories we have heard recently in our community. I hope these publications give insight into the fabric that is Rundle. III. 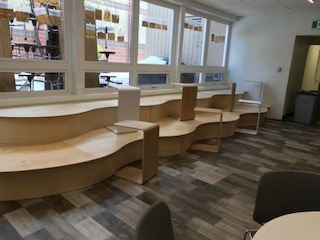 Moving Walls at the Academy - What’s Next? Early in the new year, you will be receiving our 2017-2018 Annual Report in the mail. I hope our community takes a moment and enjoys reading about our students’ accomplishments last year. We are proud to announce that in 2017-18, this vision was, once again, being achieved. Our students were striving to reach their potential, inside and outside the classroom, and we are pleased to join with them, their families and their teachers to celebrate their impressive accomplishments once more. The Rundle story is best told through our pursuit of this vision, and it is worthwhile to take a moment and consider the school’s narrative from this past year. The chapters that encapsulate the past 12 months at Rundle College Society (Rundle) could be titled introspection, refinement, and growth. With the support of our entire community, Rundle underwent our first Canadian Accredited Independent Schools (CAIS) accreditation review. The CAIS review saw 14 independent school experts from across Canada come to Rundle to evaluate our programs, policies and procedures. We earned numerous commendations from the committee and were left with several suggestions and recommendations that will help us continue to improve. I am thankful to everybody in our community who took part in this important process. The work has created a foundation for a bright future at Rundle. With the recent completion of the W.J. Collett School, we have now turned our attention to refining the Rundle Academy campus. 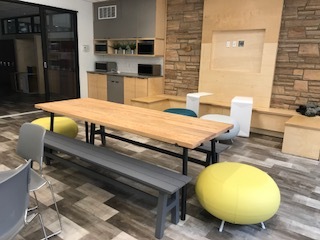 With the support of our partners from IDEO, CANA, M2i, JC Interior Design and DIALOG, we have seen the start of a transformative process at the Academy campus. In a few short months, we were able to raise over $200,000 to kick start the ‘”Moving Walls” projects. 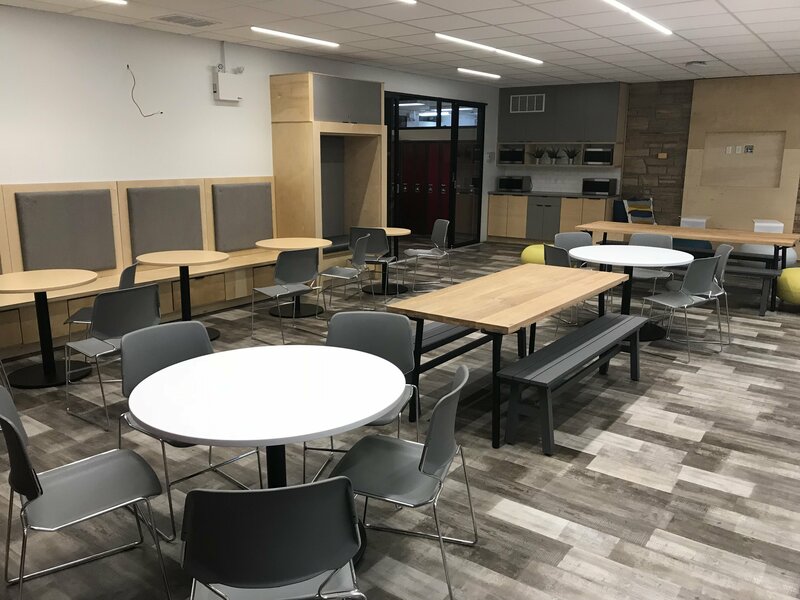 These funds have allowed us to completely redesign the Junior High lunchroom and create a spectacular social and learning space. In the coming years, we look forward to seeing how the Academy staff, students and parents continue to transform these spaces into a world-class learning environment. All programs at Rundle are finding ways to innovate and provide excellence in programming. These innovations can be seen in events such as the annual Calgary STEM competition at the W.J. Collett School, in the Robotics Team at the R.C. Conklin School or in the Junior Cobras program. The Junior Cobras program is particularly noteworthy as it brings students from K-12 and our alumni together in the pursuit of a lifetime of wellness through sport. This past summer also saw us run summer Mind & Body camps for elementary-age students. In our summer camp program, we saw students taking part in STEM activities (coding, robotics, design thinking and engineering) for part of the day and then taking part in a sporting pursuit (basketball, volleyball, soccer and rugby) for the remainder of the day. Facility Rentals: Rundle has recently hired Mr. Mike Duncalfe to oversee our site rentals. Mr. Duncalfe is looking to expand our rentals to include special events, gym rentals and field rentals. If anybody in our community has questions or inquiries about space rentals (birthday parties, meetings, special events, athletics, etc. ), please do not hesitate to contact Mr. Duncalfe directly at duncalfe@rundle.ab.ca. c.Lab: We are seeing the continued growth of our c.Lab through innovative offerings in STEAM learning and Jr. Cobra camps. Our Spring and Summer Camp offerings will be coming out soon. Be sure to register early to secure your child’s spot. Global Online Academy: We are very excited to be offering a huge selection of option courses to our College High School students through Global Online Academy! Rundle College is one of two private schools in Canada to be accepted to this inspiring program. There are exciting days ahead for the staff and students at Rundle Academy! 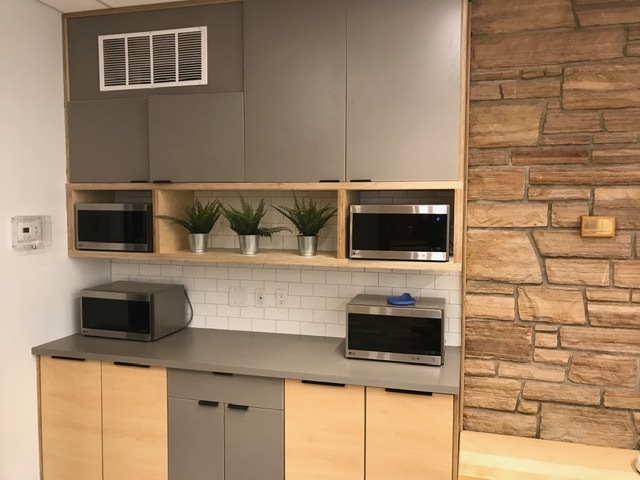 The completion of the Junior High Lunch Room has inspired our whole community to come behind the next phases of this redesign project. In the near future, we will be sharing more information on the next steps. For now, I am happy to share that we are engaging with a design team to consider ways to further enhance the experience the students enjoy while being at the Academy! As we move into a spring provincial election, I encourage our community to stay on top of the political scene. From our side, we will do our very best to keep you posted as we become informed. For now, it is worthwhile to give this article a read and this podcast a listen. I believe they give a good overview of some of the perspectives and talking points that are out there. If you want a smile, and want to see why our schools are such special spaces, spend a few minutes enjoying this Academy Elementary production! Finally, I would like to congratulate our Graduating Class of 2019! We had an incredible 97% of our Academy and College future graduates support the bursary fund. It’s hard to believe that we are officially done 20% of this school year! A sincere thank you to all members of our community. Your efforts have created one of the best starts to the school year that any of us can remember. In this chapter of ‘the narrative,’ we will be exploring wellness with a particular eye to agency and awareness. I. The Narrative - Part II - Awareness + Agency = "Be Well"
Be Well: “The aspirational value of Rundle whereby all students, staff, parents and community members find harmony in the areas physical, spiritual and psychological wellness. 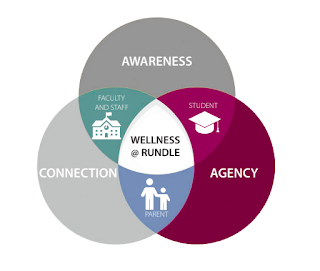 Over the course of the past 18 months, Rundle has been strategically addressing emotional wellbeing in our community. The commitment to the value of “Be Well” has included much outreach, consultation and action. In the course of our explorations, there have been two underpinning tenants that have come forward. The first tenant is that of awareness. We continue to work with our entire community to consider what it means to be aware of our own condition and have empathy for the condition of others. We see this manifest in programs such as Dare to Care, Peer Support, and Community Helpers, and in our our Emotional Quotient teacher and student workshops. Furthermore, we are starting to see more and more parent engagement opportunities, whether it is small focus groups or larger parent Speaker Series events. The second tenant of emotional wellbeing is agency. If we are to improve, we need to understand that we are each responsible for actions that promote, or detract from, our own wellbeing. To have the power to make personal change is the true essence of agency. To support the combination of awareness and agency, we have recently announced the ‘Be Innovative Wellness Grant.’ It is not too late to apply for one of these $1000 grants to support wellness initiatives in our community. The grant is open to all parents, students and faculty at Rundle College. At the bottom of this e-mail, you will see the text, video and application that was originally sent describing the grant and the application process. Thank you again for joining us on this journey to a continually improving environment where wellness is not just a value but something we live. On Wednesday of this week, AISCA (Alberta Independent Schools and Colleges Association) was invited to meet with the Minister of Education, the Honourable David Eggen, and I served as the representative from Rundle at this meeting. During our time with Minister Eggen, there was a wide range of topics discussed. Most importantly for the Rundle community, we discussed the importance of choice in education and predictable funding for independent schools. T Minister Eggen went out of his way to assure us that he values independent schools and he is committed to both parent choice in education and a predictable funding model that supports our schools. This was excellent news and we appreciate his steadfast support in spite of ongoing attacks on our schools by special interest groups. I would encourage our community to continue to write their MLA and Minister Eggen and share their own personal stories of success at Rundle. Minister Eggen was quick to refer to these advocacy letters in our meeting and I am certain they have had a positive impact on this government's overall perception of our schools. A great place to find information about the independent school advantage is on the AISCA website. They have created some excellent advocacy advertisements that you may find interesting and useful. Each of the unique advertisements is accompanied by a fact sheet. Lastly, another great resource is this video that was produced to help inform the general public of the value of independent schools. Thank you to everybody who continues to advocate and inform on Rundle’s behalf. It is hard to believe, but our Grade 11 and 12 students are already starting to make their post secondary plans. As we see it, this is one of the top advantages of our program. Each of our Academy and College students are receiving one-on-one counselling to help them determine what will be the ‘best fit’ university, college or alternative option for their future. 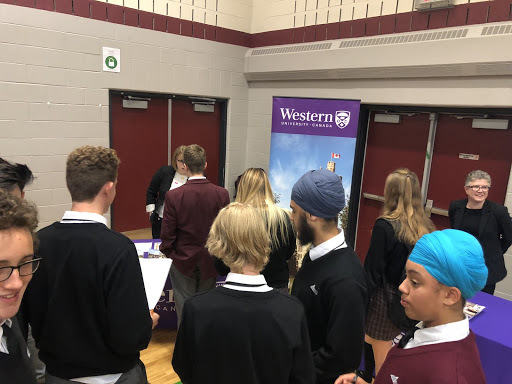 On Thursday of this week, Rundle hosted an ‘Out-of-Province Post Secondary Fair.’ At this event, we saw dozens of the top universities from across Canada gather at the Rundle College campus to meet with our high school students. Whenever Rundle staff are in contact with these institutions, we receive valuable feedback about our program. We are happy to be told repeatedly that Rundle students are coveted in the admission process due to the strong reputation of fine character and academic preparation among its graduates. To support the wellness of our student athletes, Rundle College Senior High initiated the Athletic Therapy Pilot Project last year in partnership with Prairie Therapy. The goal was to ensure all athletes were prepared to play and had access to immediate care if any injuries occurred. Moving into the 2018-2019 school year, we are excited to announce that the College Senior High is expanding its partnership with Prairie Therapy for all staff and grades 9-12 student athletes. Therapy will be available during all practices, games, and home tournaments to ensure not only the safety of our athletes, but of our visiting teams as well. Given we have therapists on campus daily, we are extending their therapy services to staff as well. Click here for more information about Prairie Therapy and this exciting service offered to our staff and student athletes at the R.C. Conklin school. With the success of the program at the College Senior High, Rundle Academy has also initiated an Athletic Therapy Pilot Project. We are pleased to offer therapy services to their staff and student athletes as well. In honour of World Mental Health Day, it is with profound excitement that I announce the Rundle 'Be Innovative' wellness grants. With appreciation for a generous gift from one of our community members towards the Headmaster's Fund, we will be offering five 'Be Innovative' wellness grants of up to $1,000 each. All funds given towards the Headmaster's Fund this year are going towards emotional wellness initiatives. As a direct result of these donations, we have been able to provide professional development for our staff, add some additional human resources and now are launching the 'Be Innovative' wellness grants. A huge thank you to all who have given. If you are curious about how to support this important cause, feel free to reach out! Why: The aim of the grant is to help our community continue to learn and live a healthy life. Furthermore, we believe that many of our best ideas come from the awareness and agency of our community. We hope to see some grassroots initiatives that take root and continue to strengthen Rundle College Society. Who: Anybody (parents, students and staff) in the Rundle College Society community is encouraged to apply. Applications may be submitted by individuals or groups. therapy puppies for the week before final exams to help students unwind and have some fun! Where: We are hoping that the proposals focus on increasing well-being in our community. The proposals may focus on a subsection of our community (parents, students, staff). How: CLICK HERE to access the grant application. We encourage you to download it, fill it in and then e-mail it back to headofschool@rundle.ab.ca. Once all applications are received, the 'Be Innovative' Grant Committee will convene to make the difficult decision on who will receive the innovation grant. The projects will then be implemented between January and May, 2019. In May, we will be hosting a celebration to share the successes of our innovation and wellness! When: Grant applications are due November 5, 2018 and we will be announcing the recipients before December 1, 2018. I can hardly wait to see where these wonderful initiatives will take us. Thank you to all who continue to support our school and the students who attend Rundle!